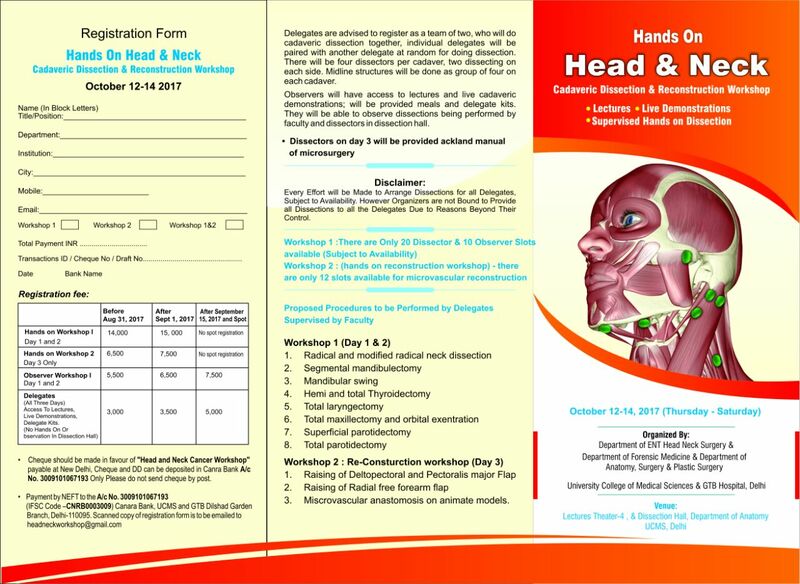 We take great pleasure in inviting you to participate in the Hands-On Head & Neck Cadaveric Dissection & Reconstruction Workshop being organized by the Department of Otorhinolaryngology and Head and Neck Surgery, Department of Forensic Medicine, Department of Anatomy, Surgery & Plastic Surgery at University College of medical sciences and Guru Teg Bahadur Hospital from 12 to 14 October, 2017. 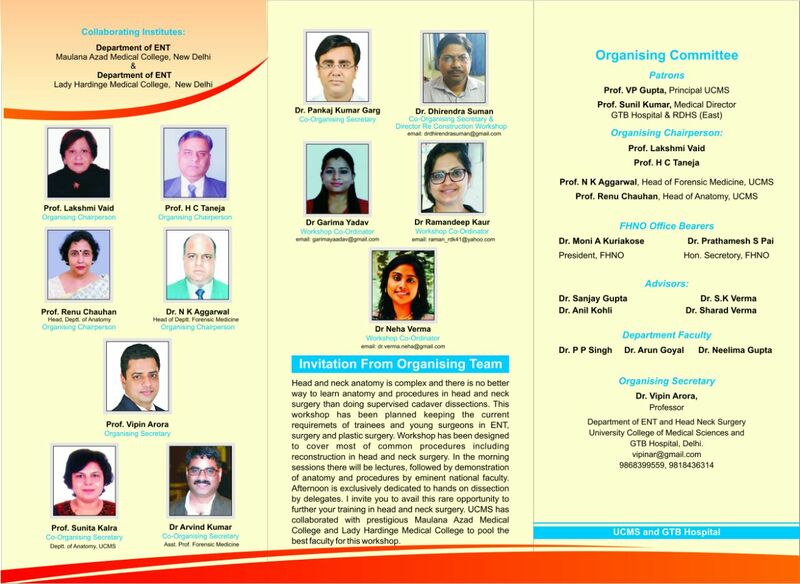 This workshop has cadaveric surgical demonstrations by expert national and international faculty and hands on experience for dissectors. Day 3 is dedicated to reconstructive procedures including hands on micro vascular reconstruction on animate models. 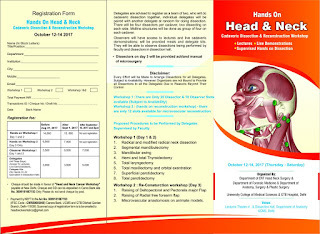 Cheque/DD should be in favour of “ Head and Neck Cancer Workshop” payable at New Delhi. 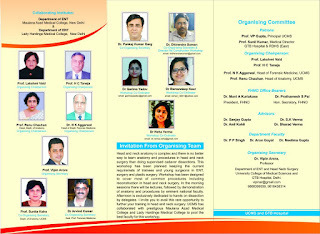 DD to be deposited at Canara Bank, UCMS and GTB Hospital, Dilshad Garden, Delhi 110095, A/C No. 3009101067193. Kindly do not send Cheque by post.